There is a sub-genre of point-and-click adventures with a huge fan-base. 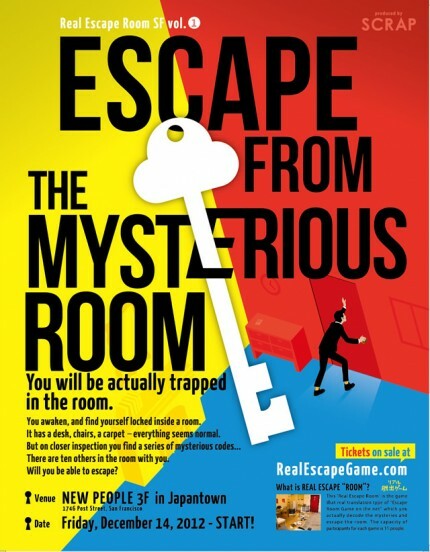 Escape the Room puzzles, as the name implies, fill confined spaces with puzzles that hold the secrets of escape. Glyphs might be hidden in couches, parts of a clock could be hidden in a potted plant. From cars, to closets, to art spaces in Japan town, Escape the Room puzzles create a unique experience by hiding mystery behind the seemingly mundane, all in close proximity. Join this week on the podcast while Scott, myself, and a few guests, explore the design and appreciation of room escape games. - Subscribe to the EXP Podcast via iTunes. - Find the show on Stitcher. - Submachine Series by Mateusz Skutnik. - Music by The Underscore Orkestra, Kevin MacLeod, and Latché Swing. That real-life game sounds excellent! I hope it sticks around long enough for me to get there. Have you played The Room? (Not to be confused with the movie of the same name.) The puzzles are clever, and the visuals are probably the best I've ever seen in the genre. 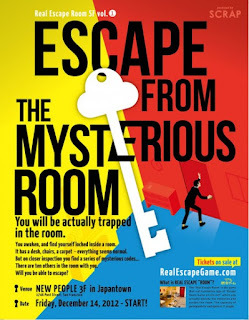 There is also a ridiculously huge list of escape-the-room games here, but it looks like they stopped updating recently. You're not the first person that has suggested that game! It sounds pretty freaky. Wow, that's a huge list! I've seen "The Room" but haven't had a chance to play it. Seems like a really neat use case for touch, so I'll have to check it out. It's amazing. Money back guarantee if you don't love it. Definitely one of my favorite podcasts from you guys in a while. I love the idea of a bunch of people in a room frantically looking for "things" to solve. I'd love to experience that scenario. Keep it up fellas!